Some of the world’s most outstanding sportsmen and women have been fortunate enough to find a teammate, or even an opponent, among their siblings. It’s not unusual to see them turning into temporary enemies on the court, track or playing field, only to resume their friendship afterwards. From Phil and Gary Neville in football, to Michael and Ralf Schumacher in Formula One, or Cheryl and Reggie Miller in basketball… the list is long. So, here’s our top 10 list of sporting siblings. Chika and Uche Chukwumerije hail from a taekwondo-loving family of nine black belters composed of themselves, their father and six other siblings. Despite this prestigious background, only the pair rose to become continental champions, although their sister Azuka became a West African champion during her undergraduate days. Chika, 31, is the youngest but the most accomplished of the family. He garnered some attention in 2003 during the qualifiers for the 2003 All-Africa Games, where he won a bronze medal in the heavyweight male category. He qualified for the 2004 Summer Olympics in Athens but lost his first bout to Pascal Gentil, the eventual bronze medal winner. He went on to win gold at the 2007 All-Africa Games in Algiers, and represented Nigeria at the 2008 Olympics in Beijing, where he won bronze – the first sub-Saharan African to do so. In 2009 he was inducted into the World’s Taekwondo Hall of Fame as an ‘Outstanding Male African Olympic Player’. He is the founder of the Chika Chukwumerije Sports Foundation, whose mission is to produce world-class taekwondo practitioners from West Africa. Chika and older brother Uche were part of the national team to the 10th All Africa Games in Mozambique in 2011, picking up silver and gold respectively in their various weight categories. The 25-year-old Brazilian twins joined Manchester United in February 2007, but couldn’t play in matches until they turned 18 in July 2008. They made their United debut on 4 August 2008 in a 2–0 friendly win away to Peterborough United, but it wasn’t until 19 April 2009 that the twins started a match together for Manchester United for the first time. It was the FA Cup semi-final against Everton, which United lost. Identical twins can cause confusion on the pitch. In October 2009 during United’s League Cup win over Barnsley, Rafael committed a foul. Fábio was booked for it so Manchester United appealed and the Football Association agreed that there had been a mistake. Sir Alex Ferguson has admitted that Fábio’s wedding ring – he got married at 18 – was the only way the Scot could tell the brothers apart. However, whereas Rafael was able to get a first team experience in the club, it wasn’t the same story for Fábio, who was signed on loan by Queens Park Rangers for the 2012-13 season. He returned to United for 2013-14 but manager David Moyes accepted a bid for him from Cardiff City where he currently plays. Rafael is still signed to United. Both players have won the Premier League with United; they’ve played for the U-17 and senior teams in their international careers and Fábio was captain of the Brazil team for the 2007 U-17 World Cup. His two goals made him the joint-highest scorer in the team. Rafael was on the U-23 side at the London Olympics in 2012, and helped his team to a silver medal. The twins’ elder brother, Luiz Henrique da Silva, is also a footballer. Jerome and Kevin-Prince might be the more famous Boateng brothers, but as children they looked up to big brother George. The trio were born in Berlin to a Ghanaian father, but George and Kevin-Prince share the same mother. George was said to be the most talented of the trio and taught his younger brothers all they know about football; however he never hit the big time and is now a musician. Kevin-Prince, 28, grew up playing for German clubs and the German youth national teams. He became known for his incredibly speedy footwork and ball-juggling skill. He started his career with Hertha BSC and then played for Tottenham Hotspur. He has also played for Borussia Dortmund, Tottenham Hotspur, Genoa, Milan and Portsmouth. In 2009, Kevin-Prince decided to play on the senior level for Ghana, and was invited to represent the country at the 2010 World Cup in South Africa. Jérôme, 26, was named in Germany’s squad for the same tournament, and by a twist of fate, Germany and Ghana were grouped together. Both teams met at the tournament’s opening game. The pair created history on 23 June 2010 – the first time that two brothers had played on opposite teams at the World Cup. The scenario was repeated four years later in Brazil as Ghana and Germany were once again drawn in the same group. Germany had the upper hand, defeating Argentina in the final to win the World Cup. 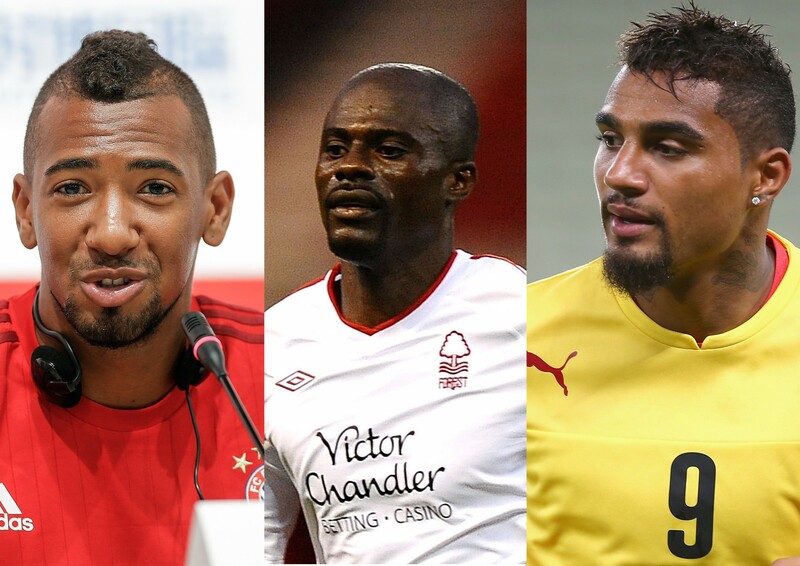 The brothers used to play in the Bundesliga until May 2015 when Kevin-Prince was released by Schalke 04. Jérôme plays for German powerhouse Bayern Munich. As he is considered by many as one of Africa’s best – and Ghana’s greatest –footballer, it is not surprising that Abedi ‘Pele’ Ayew should have sons who want to follow family tradition. The first son in the Ayew clan, 27-year-old Ibrahim, currently plies his trade for home side, Asante Kotoko in Ghana. He started his career in his father’s club, Nania FC, and had stints with El Zamalek FC (Egypt) and Lierse SK (Belgium). He has also played for the Ghanaian national U-17, U-20, U-23 and senior teams, representing the country at the 2010 World Cup in South Africa alongside brother André. André, 25, also started his career at Nania FC and then spent two years at Marseille’s youth academy, before making his debut for the club in 2007. He was captain of the Ghana U-20 team that won the 2009 African Youth Championship and the 2009 U-20 World Cup. He has represented Ghana twice in the Africa Cup of Nations, as well as the 2010 and 2014 World Cups. André was named BBC African Footballer of the Year in 2011 and the Ghanaian Footballer of the Year. In June 2015 he signed a four-year contract with Premier League side Swansea City. 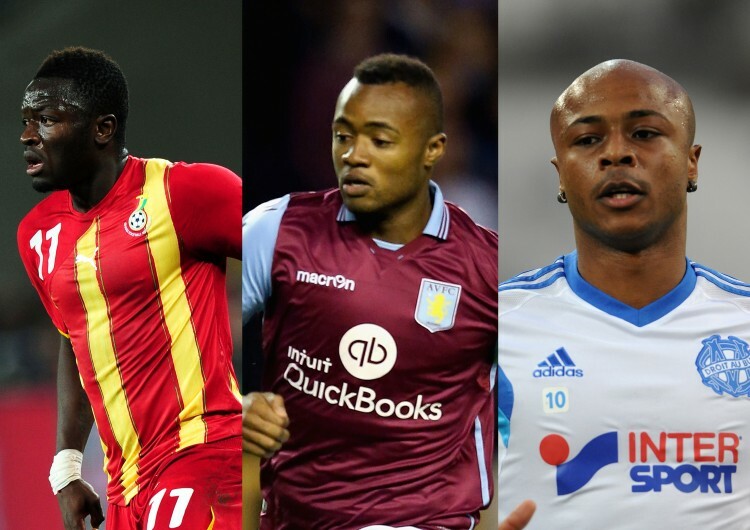 The youngest of the Ayew brothers is Jordan, 23, who joined English club Aston Villa on 27 July 2015. He made his debut for Marseille at 18 and played alongside André for some years. He also played for Sochaux and featured in a number of AFCON tournaments for Ghana, as well as competing at the 2014 World Cup in Brazil. Stephen and Seth Curry were introduced to the game of basketball by their father, Dell, who played for Charlotte Hornets for 10 years and ended his career as the Hornet’s all-time leader in points (9,839). Dell may have stepped aside, but his offspring are sure to keep the fire going, especially his eldest son Stephen. The 27-year-old is considered by some to be the greatest shooter in NBA history and is the 2015 NBA Most Valuable Player (MVP) after helping the Golden State Warriors win their first NBA championship since 1975. He was the overall leading vote-getter for the 2015 NBA All-Star Game, beating last year’s winner, LeBron James. 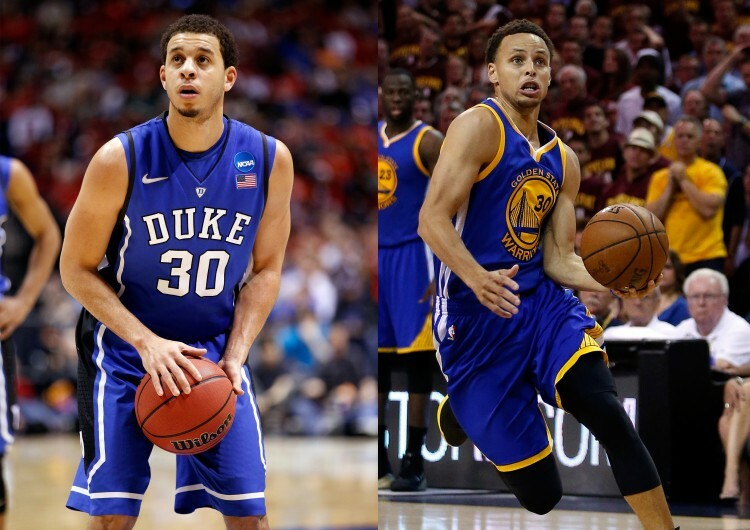 Stephen’s record-breaking feats began in high school and continued in college where he was Southern Conference Player of the Year twice. He set the all-time scoring record for his school and the Southern Conference and ended his last season as the NCAA top scorer. Younger brother Seth, 24, is set to follow in his footsteps and signed with the Sacramento Kings on 22 July 2015 after brief stints with the Phoenix Suns, Cleveland Cavaliers and Memphis Grizzlies. He is also going to keep up with the family tradition of wearing No. 30 on his jersey. He has big shoes to fill, but Seth says he’s not consumed by the desire to compare himself with his brother or father. The Bryan brothers are the second set of identical twins to be featured in our Top 10, with Mike the elder by two minutes. Mike and Rob are American professional doubles tennis players – the most successful duo of all time. No wonder they’re nicknamed ‘Wonder Twins’. The 37-year-olds have won 16 grand slam titles overall. They have held the world no. 1 doubles ranking jointly for a staggering 430 weeks at time of going to press. They are the only doubles pair in history to achieve the ‘Double Career Grand Slam’ – winning all four Grand Slam titles at least twice as a team. Best known for celebrating winning points by chest-bumping each other, the twins are the Olympic defending champions, having won gold in the doubles at the London 2012 Olympic Games, and bronze at the 2008 Beijing Olympics. In an interesting twist, Mike is right-handed whereas Bob plays with his left hand. The identical twins won their first doubles tournament at the age of six, in a 10-and-under event, and have not looked back. 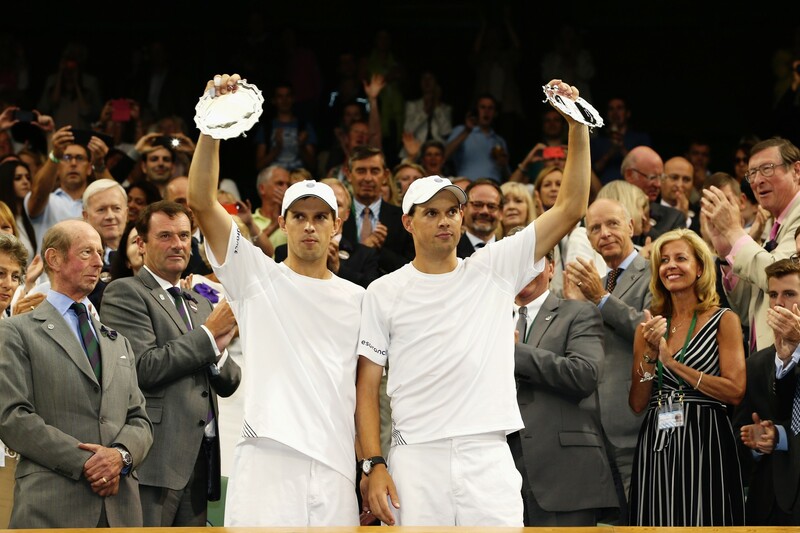 In 2013, the Bryans became the only doubles pair in the Open Era to hold all four major titles at once, as well as being the only team in history to hold all four majors and Olympic gold simultaneously. The Dibaba family name is synonymous with world records in athletics, and so the trio of Ejegayehu, Tirunesh and Genzebe are by no means pushovers in the sporting world. The trailblazer is Ejegayehu, 33, who competes in the 5,000m and 10,000m. She won a silver medal in the 10,000m at the Athens Olympics in 2004 and two bronze medals over 5,000m and 10,000m at the World Championships in 2005. Tirunesh, 30, is the current world and Olympic 10,000m champion and has five World Championship gold medals to her name. She also has five Olympic medals: three gold and two bronze. Tirunesh became the first woman ever to win the 10,000/5,000 m double at the same championships, a feat she achieved at the 2005 World Championships, beating Ejegayehu along the way. She also became the only woman to win the 10,000m back to back after defending her title in 2007. Tirunesh set a new 5,000m world record of 14 minutes 11.15 seconds in 2008. At the Beijing 2008 Olympics, she became the first woman to win the 5,000m and the 10,000m at the same Games. 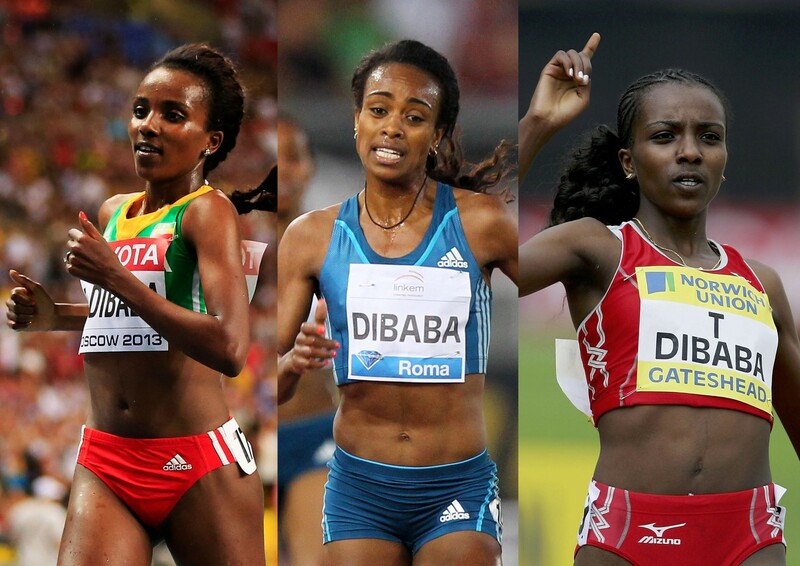 Despite being the youngest of the three, Genzebe, 24 already holds the indoor world records for 1500m and 3,000m. Last year she broke three world records within two weeks, and has already been on a record-breaking spree in recent times. On 9 July this year, she set a new African record for the 1500m (3 minutes 54.11 seconds), running the fastest 1500m in the world in 18 years. Eight days later, she broke the 1500m world record, in a time of 3 minutes 50.07 seconds, at the IAAF Diamond League in Monaco. Kolo and Yaya Touré are arguably Africa’s biggest names as far as football siblings go, and the pair currently play in the British Premier League. Their late brother Ibrahim (who died of cancer in June last year) was also a footballer. Both brothers kicked off their youth careers with ASEC Mimosas back home in Côte d’Ivoire, before making their way to greener pastures. Kolo, 34, who plays as a defender, moved to Arsenal (2002-2009) and has remained in the Premier League ever since, playing for Manchester City (2009-2013) before heading to Anfield. Yaya, 32, has been on an adventure of sorts, playing for Beveren (Belgium), Metalurh Donetsk (Ukraine), Olympiacos (Greece) and AS Monaco (France). The midfielder moved to Spanish giants Barcelona in 2007 before joining Kolo in Manchester City in 2010, where the pair played together for three years. Yaya is a four-time African Footballer of the Year (2011-2014). The Touré brothers have been an integral part of Côte d’Ivoire’s national team for more than 10 years, representing the country in three consecutive World Cup tournaments in Germany (2006), South Africa (2010) and Brazil (2014). The older Toure has garnered a massive 118 caps for his country, whereas Yaya has acquired a whopping 95. 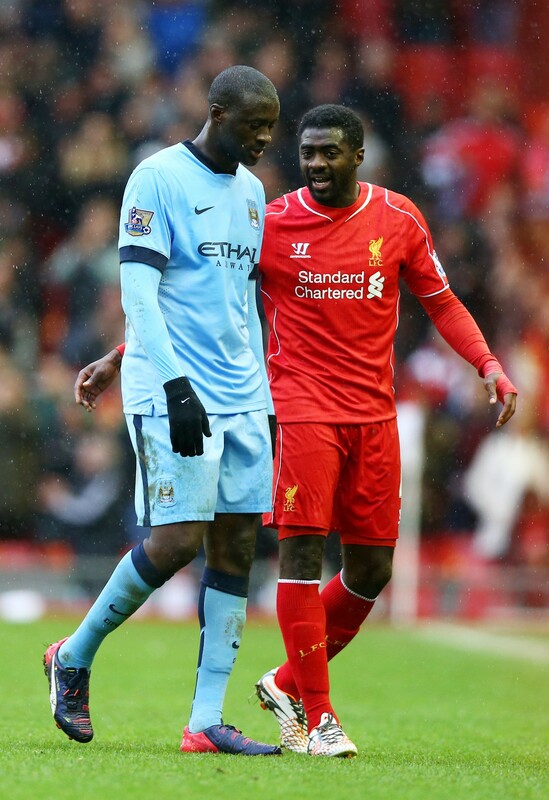 Kolo ended his international career on a high, winning the AFCON trophy with the Ivorian team in February this year. The Klitschko brothers’ powerful punches held sway in the world of boxing and will be remembered for a long time. 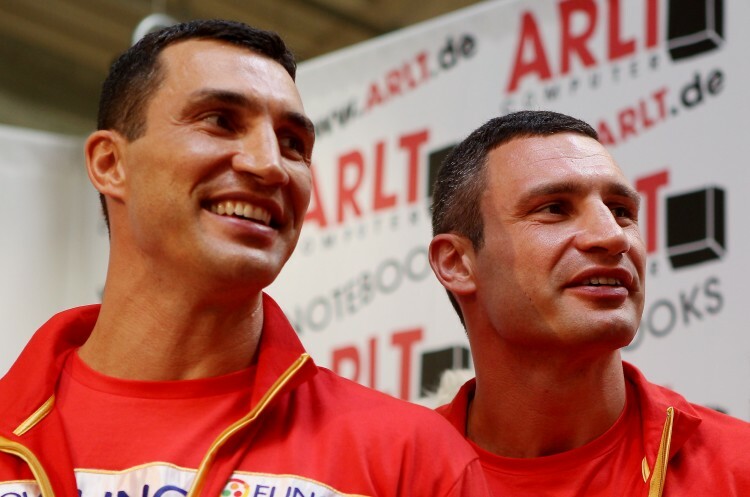 Younger brother, Wladimir, 39, is the reigning Heavyweight World Champion, World Boxing Association (WBA), World Boxing Organization (WBO), as well as the International Boxing Organization’s (IBO) champion. He is known as Dr Steelhammer. Overall, he is the second-longest reigning heavyweight champion of all time and has the second-most-successful title defences total of any heavyweight boxer, with 23, which puts him behind Joe Louis (25) but ahead of Larry Holmes (20) and Muhammad Ali (19). Wladimir rose through the ranks, winning the Junior European Championships as a heavyweight in 1993 and finishing second at the Junior World Championships in Istanbul, Turkey in 1994. He won gold at the 1996 Olympics in Atlanta, defeating Paea Wolfgramm to win the super-heavyweight category. The Ukrainian is tied on the all-time list for most heavyweight title fights with Joe Louis (27) and looks set to beat it on 24 October 2015, when Tyson Fury will challenge him. Nicknamed Dr Ironfist, older brother Vitali, 44, holds the second-best knockout-to-fight ratio of any heavyweight boxing champion (87.23 per cent), after Rocky Marciano’s 87.76 per cent. He has never been knocked down in a professional bout and is a six-time world champion, but announced his retirement from professional boxing in November 2005 after a series of injuries. Vitali is now a Ukrainian politician and currently serves as the mayor of Kiev, the capital of Ukraine. He is also the leader of the Ukrainian Democratic Alliance for Reform and a former member of the Ukrainian parliament. The Klitscko brothers both hold PhDs, and have long been involved in charitable activities. 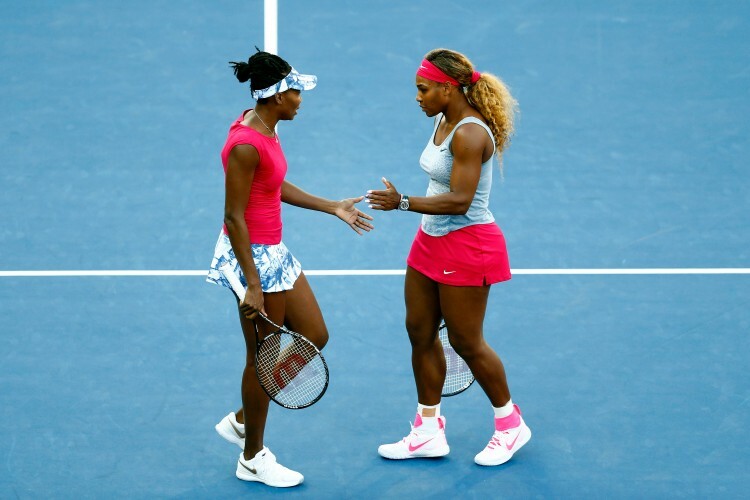 The Williams sisters top our list of sports siblings, and little wonder: they have completely changed the game of tennis and maintained their position through sheer grit and determination. Venus, 35, is a former world no. 1 who turned professional in 1994 and broke into the top 10 in the world for the first time on 30 March 1998. She won her first Grand Slam in 2000 (Wimbledon) and became the world no. 1 for the first time on 25 February 2002, becoming the first black American woman to do so since computer rankings began in 1975. Despite a career blighted by injuries, she was able to secure seven singles, 13 doubles and two mixed doubles Grand Slam titles, making a total of 22. She also has four Olympic gold medals (one singles, three doubles) and became only the second player to win Olympic gold medals in both singles and doubles at the same Olympic Games (Sydney in 2000), after Helen Wills Moody in 1924. Younger sister Serena, 33, became the world no. 1 for the first time on 8 July 2002, and is the reigning champion of the Australian Open, French Open, Wimbledon, US Open and Olympic women’s singles. She is regarded by many as the greatest female tennis player of all time with 36 Grand Slam titles to her name (21 singles, 13 doubles, 2 mixed doubles). Serena turned professional in September 1995 and made her top-10 debut in 1999. She ended 2014 ranked world no. 1 and held the ranking for the entire calendar year. In 2002, Venus and Serena became the first ever siblings to rank no. 1 and 2 in the world at same time. The pair have played against each other in 26 professional matches since 1998, with Serena leading 15–11, and they have met in eight Grand Slam finals.